iPad Pro 9.7″: Review, Specification & Features:Apple has Unveil its new pro iPad smaller Size called iPad Pro 9.7-inch. 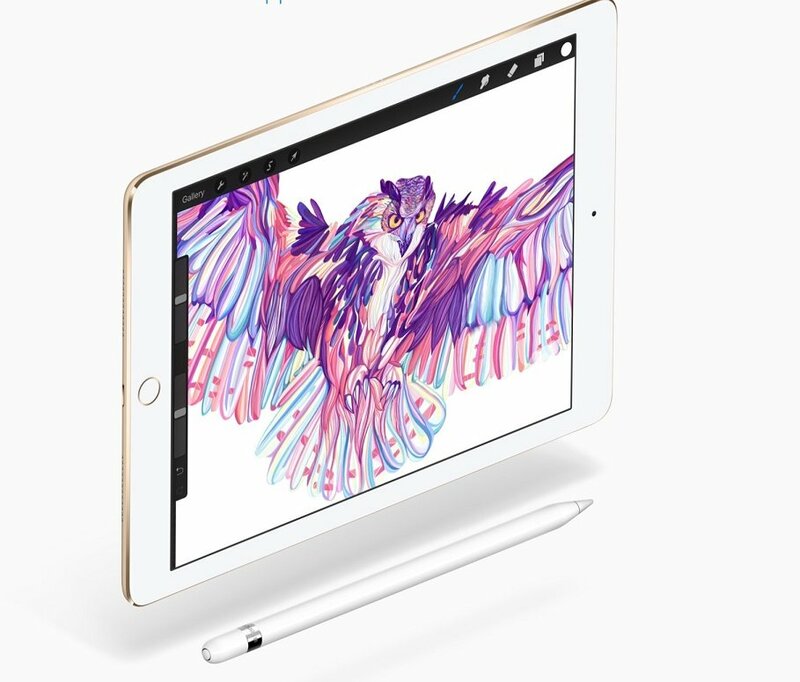 Apple most loved size iPad 9.7-inch successor of iPad Air 2. iPad pro 9.7 include way more specification than iPad Air 2 with most extraordinary performance, camera, and display. As iPad pro 9.7 packed with same A9x comes with iPad Pro 12.9-inch It has some refinement over it. iPad pro 9.7 have same form factor of iPad Air 2 240 x 169.5 x 6.1 mm (9.45 x 6.67 x 0.24 in) Weight Wi‑Fi models 437 grams (0.96 pounds)Wi-Fi + Cellular models 444 grams (0.98 pounds). 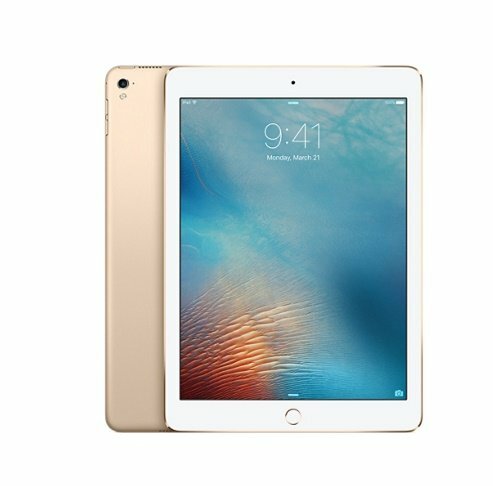 iPad pro 9.7 has come with new Rose gold colour and iPad pro 12.9-inch also with Rose Gold. 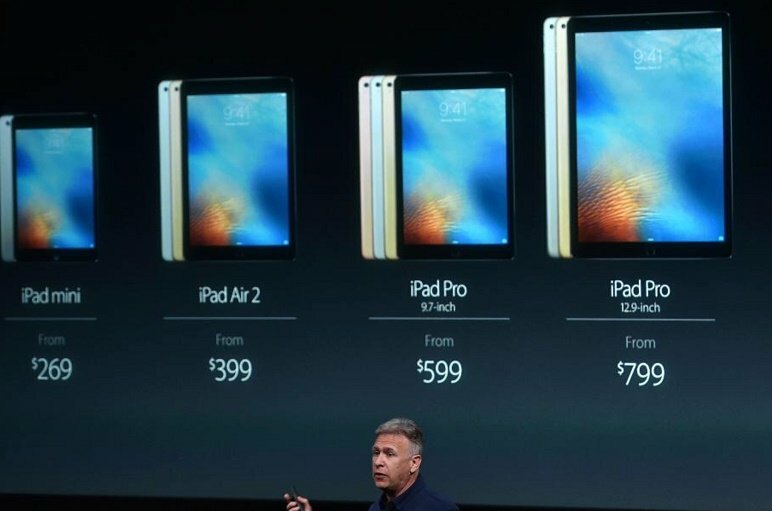 iPad pro 9.7 comes with 4 colour option Gold,Rose Gold,Silver and Space Grey. 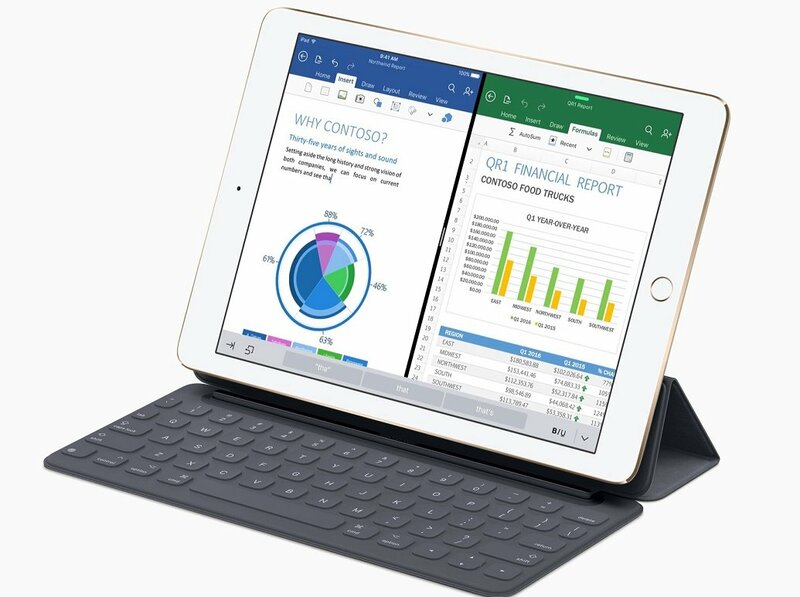 iPad pro 9.7 come with new improved display with True Tone Display, Less reflective panel 40% less reflective than iPad Air 2 Retina display 9.7-inch (diagonal) LED-backlit Multi-Touch display 2048-by-1536 resolution at 264 pixels per inch (ppi)Wide colour display. Most best feature is True tone Display in which apple add two new sensor to adapt screen color with environment. Apple gives its powerhouse chipset A9x which used earlier in iPad Pro 12.9. It is underclocked 2.16 GHz sport with 2GB of Ram. Apple said its GPU more power the XBox 360 Graphics PowerVR Series 7 (12-core graphics). Apple improve iPad Pro 9.7 camera same module use in iPhone 6s 12MP iSight camera Live Photos, Tone flash,ƒ/2.2 aperture. It is first iPad comes with apple True tone Flash. 4K video recording (3840×2160) at 30 fps1080p HD video recording at 30fps or 60 fps720p HD video recording at 30fps Slow-motion video support for 1080p at 120fps and 720p at 240 fps Time-lapse video with stabilisation. Front camera is 5MP with Retinal Flash as used in iPhone 6s.With 720p HD video recording ƒ/2.2 aperture. iPad pro 9.7 compatible with smart keyboard for 9.7 inch and Apple Pencil for which we have to spend $150 and $50 for each respectively. But these are must buy accessories for iPad. iPad pro 9.7 equipped with 4 speaker arrangement that’s comes with iPad Pro 12.9. Very loud and clear speakers most have more sound than iPad Air 2.
iPad pro 9.7 nice iPad with lots of improvement from iPad Air 2 with same form factor light and thin and comfortable to use. Yet it most powerful iPad as compared iPad line up excluding iPad Pro 12.9.
iPad pro 9.7Wi-Fi 802.11 ac, dual-band, hotspot Bluetooth v4.2, A2DP, with A-GPS, GLONASS (Wi‑Fi + Cellular model only). iPad pro 9.7 comes with 3 storage option with 32GB as base model then 128GB and 256GB which cost $599,$749 and $899 with Wifi and $729,$829 and $1029 Wi-Fi+Cellular respectively.